At casinopromote.co.uk we will update you regularly with the latest online casino UK news, bonus offers and new slot releases. After years in the business, we felt like there should be a site that combines all aspects of the casino business where you can read about all things going on, not just promotions and bonuses. 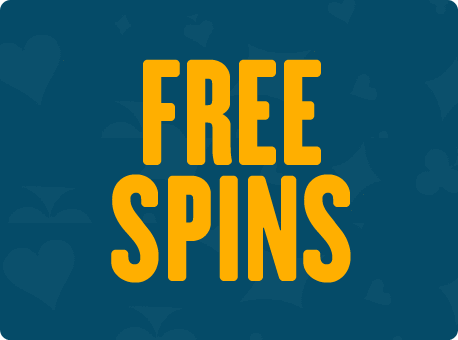 We will bring up upcoming legislation, new online casinos, payment methods and, naturally, free spins and casino bonuses. Each casino we bring up to the site will be going through our rough test panel. We have gathered years of experience in our team in order to provide a brilliant casino news portal where you will be able to find anything related to casinos. Below you will find the UK online casinos that we recommend at the moment. When rating a casino we look at a casino as a whole. Not just what casino bonus they have. We do not test a casino that does not have a UK license from the Gambling Commission. This means that all our casinos are paying taxes in the UK and are completely safe to play at. If, in spite of this, you still have a problem as player you can always turn to the UK Gambling Commission and they will help you sort out any unfairness you might have encountered. Besides having a license we look at support, payment methods, software providers, games and slot selection, user experience, mobility, UK bonuses and their terms and conditions. If a casino is not good enough for us we will not add it to our site. Every month there are new casinos going live in the UK. We are working hard to go through all of them and review as many as possible so that you will now if it is safe or not. Now why are there so many new casinos popping up all of sudden? This is simply due to the technology evolving and it goes quite fast and easy to get a casino live. We have seen this phenomena happen before both in Poker and Bingo where bigger operators sell out their platform solution to smaller companies which uses their technology and licenses to quickly go live with a new casino. 10 years ago Bingo started heavily growing in the UK and, with that, over 1000 Online Bingo rooms were to be played at. Same thing happened to poker just around of seven years ago when big providers like Microgaming, iPoker, Paradise Poker Boss Media and Party Poker gave away their software to other companies to run their poker skin. It all crashed down eventually with black friday to many operators. With a fierce competition, an online gambling operator had to compete giving away bigger bonuses and better terms and conditions towards players making most business go under. We see the same trend happening in the online casino world and it has never been better being a casino player. These are our latest reviewed casinos that have made it through our test panel and we can highly recommend trying them out. We see a real cool trend in the business now where new online casinos focus a lot of their development on gamifiactions and story telling within the casino. We think this is an awesome turn that the business is taking and we look forward to what comes next. There are some really cool new casinos that are being launched that focus heavily on storytelling and gamification in their casino. Gamification is kind of a game within the games. 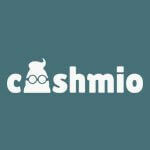 Take Cashmio for example, a new online casino from Mozebra Ltd on Igaming clouds technical platform. Each and every day you will have three missions in the casino which you can compete in order to unlock bonus coins. The bonus coins can contain Lottery tickets, Free Spins and cash bonuses. It is also said that there is a legendary mystery coin which can be achieved by completing all the missions in the casino which will grant you super cool stuff. 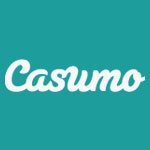 Other really cool casinos with features like Cashmio are Casumo and Rizk. Both of these are really cool and bring a new level to your casino play. Online casino has been around since mid 90’s, but it is just recent years that it has really blossomed and become a big market. Companies like Playtech, Microgaming, IGT and Bally’s has dominated the market greatly. These companies are also the ones controlling the offline market and have most of the slots in the brick and mortar casinos all over the world. Now the first pure online casino being launched in Europe is Mr Green, a Swedish company which is well respected within the industry. We recommend Mr Green, but they are behind in terms of the new casinos and their gamification ideas. With the online casino UK boom, several new slot providers have popped up, thus raising the competition, and for each new slot graphics, sound and gameplay is super important. They have to be done to really high standards, as they will just not pass the competition. Some of the latest providers coming up are, strangely enough, also from Sweden. Game developers like Netent, Quickspin, Play n Go, Elk Studios, NextGen and Thunderkick are all Swedish companies with main offices in Stockholm and Skövde. Our thought for the future is that we will see a lot more online casinos which will go different paths when it comes to gamification. Almost all online casinos in the UK have the exact same slots and casino bonuses. This means they have to do something more to stand out and the only thing left is customer support, deposit and withdrawal times, and most importantly gamification. As we mentioned above, we only list UK casinos that are licensed within the UK. This means they have to be approved by the Gambling Commission, an entity created by the government to control the online casinos and ensure the safety of players within the UK. If you have any problem or feel unfairly treated by a casino, you can always turn to them for assistance. 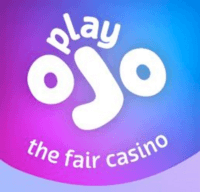 This is, of course, only for casinos that are listed and licensed in the UK. Playing at any other casino is not recommended and you have very little chance of getting help if problem arises. Knowing if the casino is licensed is easy. The rules and regulations state that the online casinos have to have their licenses in the footer in the casino with a link to the Gambling Commission. Clicking it will show you which company owns the casino and through there you can also get help and contact details in order to get help with your issues. Other license system that you will encounter on the sites are from Malta which is highly respected within the EU. Aside from those, there are also casinos which have Curacao license, which is the third safest, but we would definitely not recommend an online casino operating with that license alone.